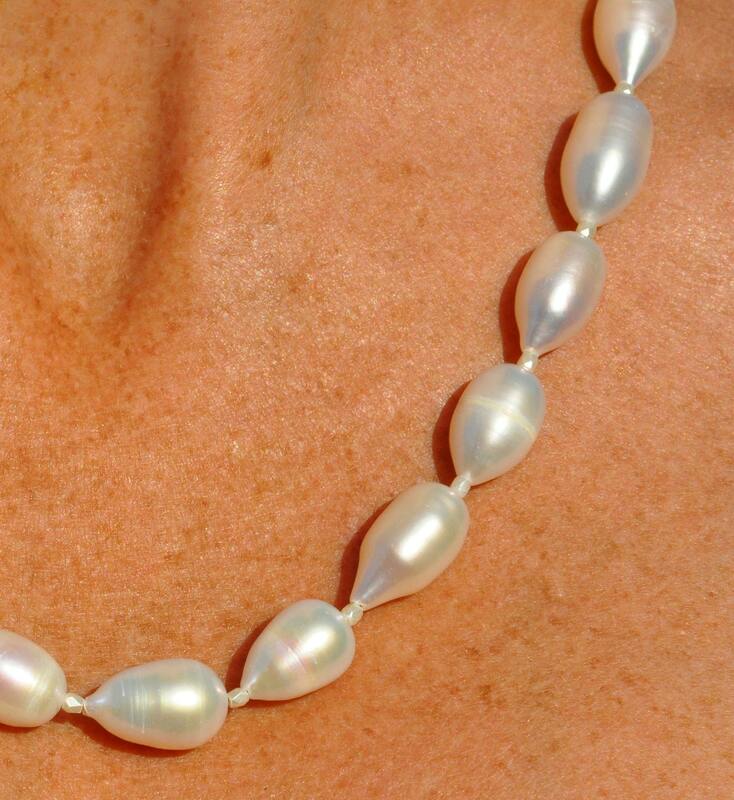 Teardrop freshwater pearls are simple and smooth, making this necklace quiet, but still more interesting than a traditional pearl strand. 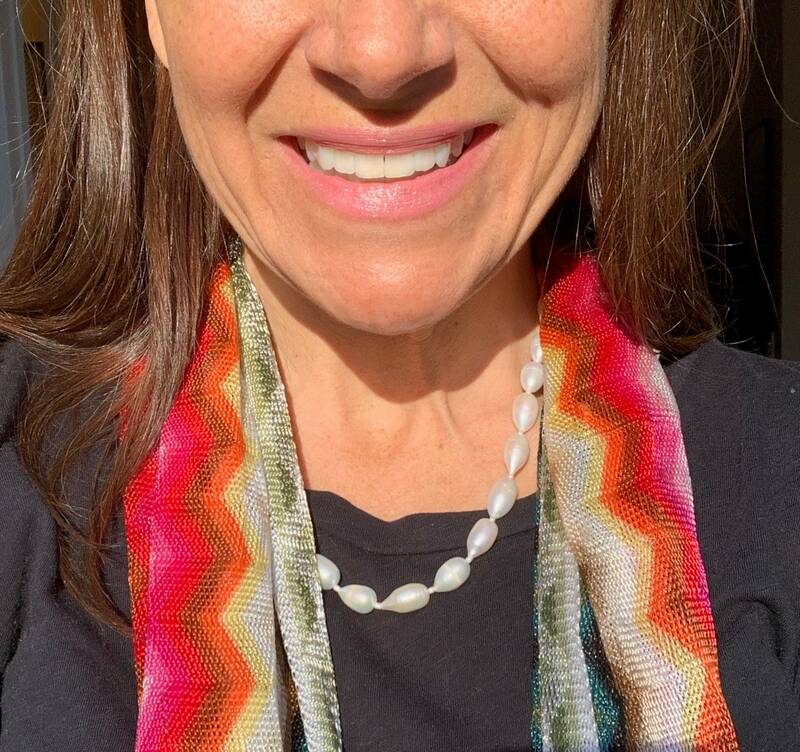 The uniformity of the flow and the slightly off-white colour also feels calming, but the organic nature of each pearl keeps things from being boring. 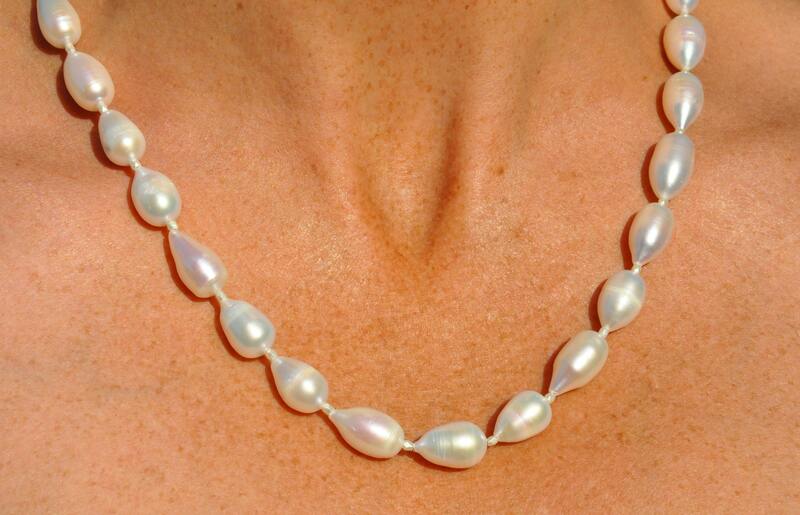 It could be worn to a funeral or to a beach bar with equal ease. 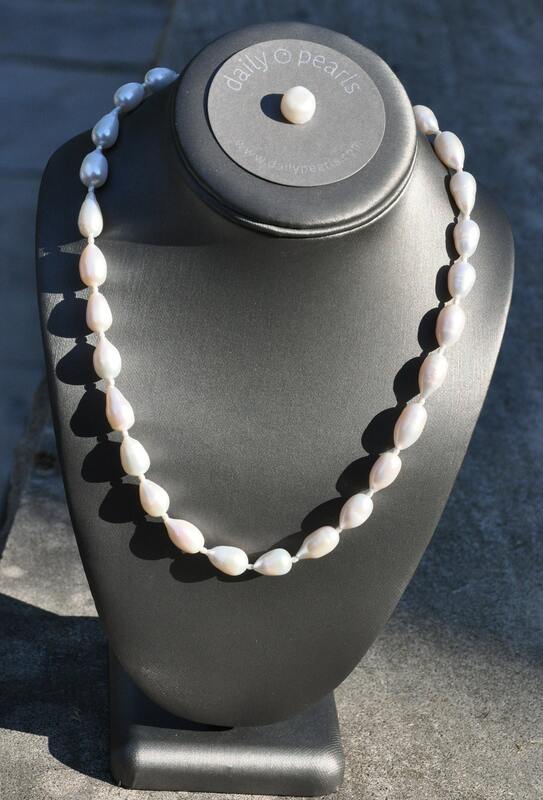 The necklace is made with freshwater pearls which are approximately 12mm x 8mm, and have not been dyed. 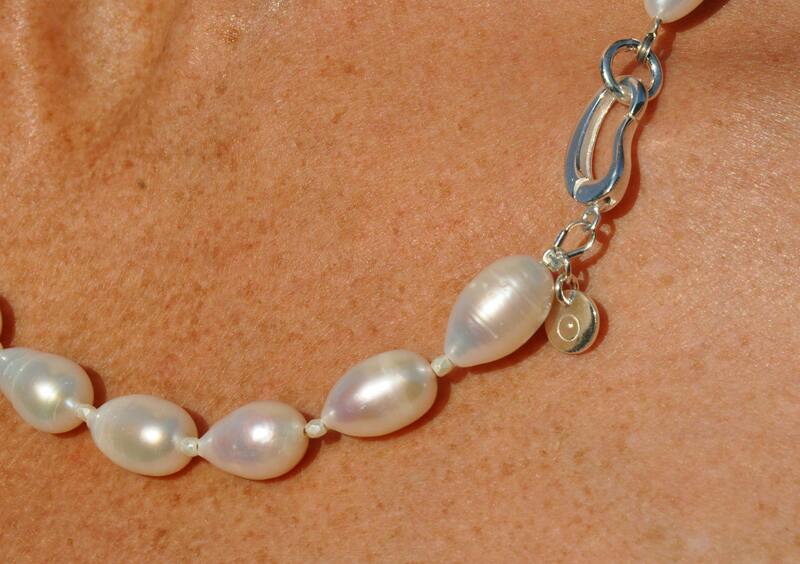 In between each teardrop pearl is a tiny, white crystal bead. Everything has been strung on nylon-coated stainless steel wire, and the components, kidney clasp, and Daily Pearls tag are sterling silver.